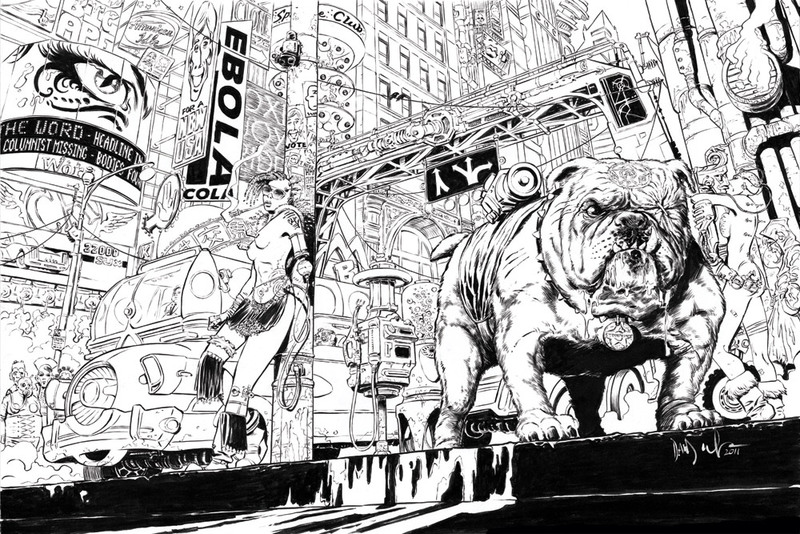 As I mentioned last time, I'm doing a two page spread pin-up for the Transmetropolitan Art Book. Here's a look at the inks. The colors are almost done, but you won't get to see the finished piece unless you buy the book! Proceeds go to the CBLDF and Hero Initiative. There's a Kickstarter campaign going on right now to help raise money for the production of the book. They've just passed the halfway point, but there's only 27 days left to raise the rest of the money! Please, consider giving to these worthy causes and to help bring this book to life!